You know by now that FINELINE SETTINGS love talking to you guys each week about up-coming events and celebrations; however, if there could be one particular topic of discussion that brings us even more excitement, it would be whenever we have the opportunity to meet and speak with our valued friends and customers! A.K.A, YOU! We’re talking about trade shows, dear friends; and this May, Fineline will be attending one of the biggest shows of the year in hopes to see YOU! 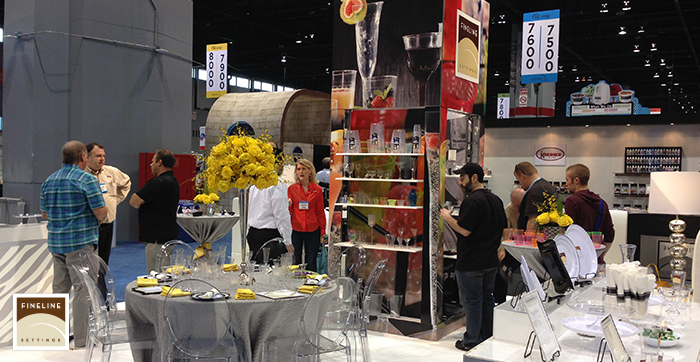 NRA SHOW 2015 is brought to you by the NATIONAL RESTAURANT ASSOCIATION, and will be hosted in Chicago this year from May 16th to May 19th, with over 40,000 attendees! With industry professionals, celebrity appearances, conferences, innovations, and more; there is no place Fineline Settings would rather be! We know what you're thinking, because we're thinking it, too... "WOW"! TINY DOMAINS will guide you to new realms of serving and presentation! SUPER SIPS will be on full display to take your casual summer entertaining to a new height! We have new ways to help your Renaissance Style stay timeless and easy! We certainly hope you’ll be able to make it this year, as it just isn’t the same without you! 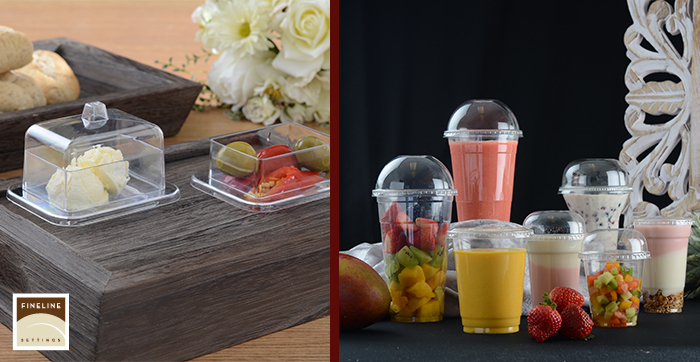 Our expert Sales Reps will be there to chat and assist you in applying the Fineline finesse at your next event, and show you all the reasons why we are INDUSTRY LEADERS in disposable tableware! Fineline will never pass up the opportunity to talk, laugh and learn with you and the other food service professionals attending this year. Without a doubt, you’ll find your unique niche and more as you walk around the show floor and take part in everything that makes NRA unique and fun! Come and be a part of this once a year opportunity to be introduced to Fineline Settings like never before! Take this pre-summer-boom excursion to familiarize yourself with the latest trends; and take part in innovative discussions and topics regarding everything food service! 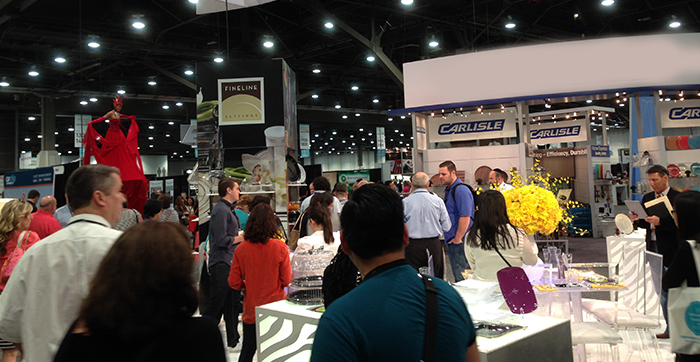 We can’t wait to see you this year, so be sure to stop by our BOOTH#7254!